Doctor Saheb wrote a very Persianized style of Gujarati, which is not easy for everyone to read. But after some time, his language grows on you, to such an extent that it can slowly invade your own style. In his numerous books, Doctor Saheb comes across as a gentle, kind, teacher, but when provoked could scar anyone who dared to cross the path of the Good Religion. His compassionate words can often move one to tears, and his fiery nature can leave one gasping for breath. I give here a few instances of Doctor Saheb’s style. Doctor Saheb was firm with those philologists and grammarians who played with Avesta words and declared this earlier and that later, this corrupt and that interpolated. But Doctor Saheb’s harshest words were reserved for those who faked their love for Khshnoom, or those who stuck to the shell and did not delve into the kernel. In his lifetime, Doctor Framroze often came across shallow so-called Khshnoomists who would ridicule their Parsi brethren who were not aware of Ustad Saheb, or who went to great lengths to show off their little knowledge of Khshnoom. Doctor Saheb warned that any show of Tarikats was the first step to disaster. It is of course impossible to do an iota of justice to Doctor Saheb’s style through these lame translations. 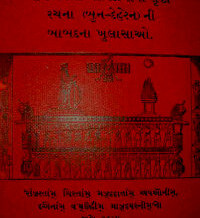 The beauty and grandeur of his writings can only be realized by reading the Gujarati original. As the Kadmi Muktad days and new year passed, Doctor Saheb’s condition deteriorated further. On the morning of 6th August, 1962, Doctor Saheb called together Jehangirji, Gulcheher and other family members and asked: ‘Is there any message you wish me to carry to our departed relatives?’ Readers of Frashogard will see in the series ‘Wondrous Circle of Life’ that when the Ruvan of the deceased person flies off the earth and reaches the doorstep of Chinvat, 7 generations of deceased relatives of the person stand there to receive the Ruvan. While Jehangirji could say nothing due to emotion, his wife whispered: ‘Doctor Saheb, when you meet my dear Pinky (Piroja, the daughter of Jehangirji and Gulcheher who had passed away at the age of fifteen after a brief illness on 8th February, 1953) please hug her tightly and give her all our love and kisses!’ Oh the mother’s anguish for a lost child! Later in the day, the boils on his body vanished and his skin became clean and clear again. Doctor Saheb gestured to Jehangirji to get a Divo. Jehangirji understood the end was near. A Divo was lighted from the household Atash, and placed near Doctor Saheb’s head. Some embers from the Atash were got in a small Afarganyu and sandalwood and incense was put. As the fragrant haze began to rise, Doctor Saheb Framroze began the recitation of ‘Ferastuye humatoibyascha…’ the Avesta Patet which forms the beginning of the Khorshed and Meher Nyaeshes. Writing in 1938, on page 199 of his Khordeh Avesta ba Khshnoom, Doctor Saheb had explained that when death is near, the life giving heat of the body begins to fall cold. Realising what is happening, the Tevishi body gets very agitated and tries its best to stop the life giving heat from cooling down. This is the reason why man or animal goes through convulsions or tremors before death. In order to avoid this, it is advisable to pray the Ferastuye, which gives succour and strength to the dying person. Following his own words of advice nearly 23 years after they were written, the good Doctor began to recite the calming words of Ferastuye. As near and dear ones gathered around him, Doctor Saheb took his last few breaths and left the shackles of his physical body at around 7:30pm. Thus ended the eventful life of one of the most striking Parsis of the last 100 years. As his Paidust left the next day from the Bennet Bungli, a large congregation of community leaders, Dasturs, professionals and lay men gathered to pay their last respects to the man. Before his Uthamna got over on 9th August early morning, multiple pairs of priests in Mumbai, Surat and Udvada had already conducted nine Vandidad and nine Yazashne ceremonies for Doctor Saheb’s Ruvan! And each one of them refused to take any money for the same. It was their way of thanking Doctor Saheb for the immense knowledge of ritual that he had imparted to them, and the great faith which had been aroused in each of these priests by his graphic accounts of the results of ceremonies and his own pious living. Nine Vandidad and Yazashne ceremonies in 3 days! Today we have to beg to get even one complete ceremony performed! Even years after his death, his unpublished manuscripts kept getting printed in book form as well as in the Parsi Avaz newspaper. There are still over 10 files awaiting publication. Even though Doctor Saheb was no more, his pen seemed to keep on moving. In 1977, 15 years after his death, Gulcheher Chiniwalla saw Doctor Saheb in a dream. He was in the clothes of an Abed Saheb, giving the Boi to a magnificent Atash Behram. The Abed Sahebs had indicated to Doctor Framroze that his next birth would be in the rarefied regions of Demavand. Perhaps, the dream was a signal that his period of Seshab had ended and Doctor Saheb’s Ruvan had begun its progress to the Varzamkard regions of Chinvat. Ke az baad o baaraan na-aayad gazand! that neither storm nor rainwater can ever harm this edifice! In the same manner, the grand writings which Doctor Saheb has left behind for us is his greatest monument. We need not try to do anything else. On the occasion of the Varsi of Doctor Saheb on 6th August 1963, late Dosabhai Desai, the teacher of Navsari, profound Khshnoom scholar and the best Gujarati poet I have experienced, wrote a deeply moving 20-stanza poem in memory of Doctor Saheb. It is beyond my intellectual reach to translate his sublime words. But it is the first and last stanza of Dosabhai’s poem which always moves me the most. Bhenkaar che, andhaar che, tutyaa e dil naa taar che! Naacheezo ne ek bas Tasleem no adhikaar che! Dreadfulness and darkness abounds, the very fabric of my heart is broken! O Naahid! (the pen name of Dosabhai) you are a lowly slave! He was the noblest of nobles! What right do slaves like you have, but to salute and pay homage to him! Who are we, and what is our calibre to write about Doctor Saheb and to discuss his works? It is only our good fortune and the good deeds of a previous life that we could pick up his books and read a few pages. The gleaner of the fields of Khshnoom is gone, we lowly worms move endlessly in circles amongst those barren fields! May the Great Farmer have mercy on us! When our time comes, may we be received by the Great Gleaner and his Ustad at the doorsteps of Chinvat, for verily they are to us more than our father and mother! May the Ruvan of Doctor Saheb Framroze Sorabji Chiniwalla progress further and further and may it guide our feeble efforts! Thank you, Ervad saheb, for writing such a moving life story of such a great soul. Believe me, the last part brought tears to my eyes. May the soul of Dr. saheb attain the highest realm in the spiritual world. What can I say more than a million Thanks to you for sharing such valuable insight on our beloved Doctor Saheb which otherwise the likes of me would have never known. My humble prayer to god would be that he keeps on opening doors of mystic knowledge to the likes of you who will guide us to follow the good path of Religion in the right way without show. At the outset I wish you & your family a Happy Jamshedi Navroze! May Ahuramazda shower HIS choicest blessings on you & your family. How can correcting some one be deemed as ‘making a show of Tarikats?’ If a devotee in his ignorance performs a Tarikat wrongly, is it not the duty of a person who is in the know to politely inform and guide him in to doing it the right way? If I observe someone performing the kusti wherein the lars are touching the ground, or someone who is moving about barefoot, should I turn a blind eye and leave him to fend for himself and find out on his own the right way to perform the tarikat? The little that I have learnt recently about our religion and put into practice (although not in its totality) have made me realize that in the past I was not following the correct tarikat and believe me, no Abed Saheb/Ustad appeared to correct me but it is said that when HE wishes to correct us HE speaks through the mouth of others or maybe through the written word in some form or the other. Recently you had replied to my query of the correct sequence of directions to be faced while praying the Char Disha No Namaskar. I thank you for that. In addition, you pointed out that Ahmai Raeschna…..to Kerfeh Mozda is to be prayed in ALL THE FOUR directions. This was news to me. Had you not added this information, I would have continued praying AR…KM just once at the end of the Namaskar. So where is the harm if someone corrects me or if I correct someone? You are unaware of the incident I have referred to, therefore your comment. You are of course entitled to your opinion. But I can not comment further on this.